Let’s get this out of the way: Bill Ng may have pulled out his bid for Scottish football giants Glasgow Rangers, but the businessman says he has not given up hope on buying it. The man, who has been making the news with a bid for the financially troubled club and suddenly dropping out of the race when he was the only contender left, says he is bidding his time to see how the club would respond to the latest developments. Meanwhile, it is business as usual at Hougang United, the football club in Singapore that he took over as its chairman in the middle of 2009. Once perennial cellar-dwellers in the S-League for over a decade, the club’s fortunes have transformed since Bill took over. It is now a mid-table club that reached the Singapore League Cup final last year, and more than once during our interview, he declares Hougang will fight for top honours next season. Currently, the team is 8th out of 13 teams in the league. The improved performance on the pitch has also been matched by what’s happening around it. Hougang United’s home is in Hougang Stadium, which sits inside a public housing estate. On most days, the stadium’s stands are empty while residents fill the tracks, jogging and walking to keep fit. This is reversed on match days, as residents turn up in orange and black, the club’s official colours, all ready to support their team, The Cheetahs. Hougang’s residents didn’t always have a football team to rally around. When the stadium was set up in 1987, it was simply a sports facility for the neighbourhood. 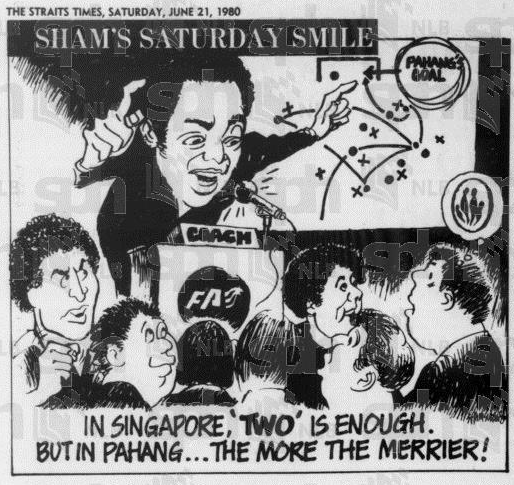 It was only two years after Singapore formed its own professional soccer league in 1996, the S-League, that a team was assigned to adopt Hougang as its home, Marine Castle United Football Club. Over the next decade, Hougang’s residents found little to cheer about for a club that struggled to climb out of the bottom of the league and changed its identity to Sengkang Marine then Sengkang Punggol Football Club. Despite speaking at length about finances, Bill says it is not enough to turnaround a club. Rather, Hougang United is enjoying a revival because it has gotten people involved in it. “Money is of course the necessary condition for running the club, but it doesn’t mean pumping in fresh money is sufficient, you need the people and the passion,” he says. This he found in a batch of young players and a new coach, ex-national team footballer Aide Iskandar. As changes were made on the pitch, Bill also worked hard to reach out to the wider community. Last year, the club was rebranded Hougang United, giving the new owner an opportunity to start afresh. It also allowed the club to forge an identity with its stadium and its surrounding neighbourhood of the same name. The club also began working with the neighbouring town councils to promote the club’s matches to the residents, and the schedule of upcoming games started appearing on the lift lobbies of the nearby public housing estates. For its games, Hougang United also began inviting orphanages and nearby schools to attend their games to watch Hougang United play. This year, in June, the club is also holding its first-ever Junior Challenge Trophy soccer tournament for students under-10 and under-12, a way for the club to spot new talent and introduce itself to young children. Over the last two seasons, the Hougang HOOLs have built up a noisy reputation, standing and singing throughout the game — a rare sight for a league that struggles to get supporters despite being a football-crazy city. Most Singaporeans would rather stay up late to watch their dose of European football games on television rather than turn up at their neighbourhood stadium to catch a live S-League game. At this point, Hougang United has yet to convince people in its community to fill even the 2,500 seater stadium during its matches. However, Bill is convinced all he needs is time. The original plan when he took over the club was to be an interim chairman to get it back in the black again, he reveals, but watching it grow and seeing the community’s response over his close to three years with it has convinced him to stay for the long-term. For a very brief moment during the interview, Bill shows a glimpse of how Hougang United means more than just a financial restructuring challenge to him. Now, he just needs to convince the rest of the community to united around his football club too. A game of soccer has kept a community of friends together for a decade, but what happens when they get bored of the sport?